This is the first tune that Eamon Flynn composed over forty years ago. He plays it for us on accordion with our mutual friend, Miss Helen Kisiel, on piano. The tune may also be heard on Eamon's CD recording Down by the Glenside. 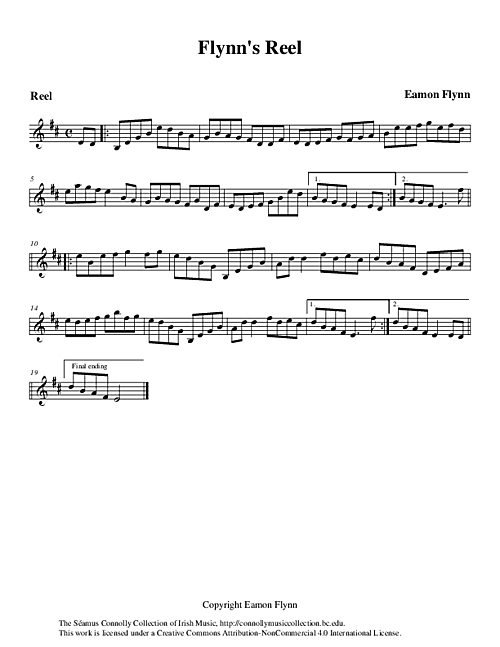 Flynn, Eamon (accordion) (composer) and Kisiel, Helen (piano), “Flynn's Reel,” The Séamus Connolly Collection of Irish Music, accessed April 20, 2019, https://connollymusiccollection.bc.edu/document/684.